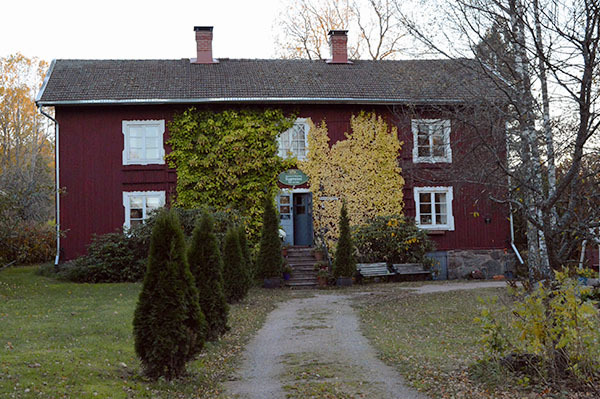 Salon and Accommondation Sypressi is located in Salo, in a 1840s log house called Raasepori. Raasepori is in the middle of Mathilda ironworks village. Sypressi offers you affordable home accommodation, space for meetings, trainings or small events. You can also enjoy massage or other relaxing treatments in peaceful athmosphere. Breakfast is also available by request. For groups we can also offer catering services. Tarja Aho is your hostess. 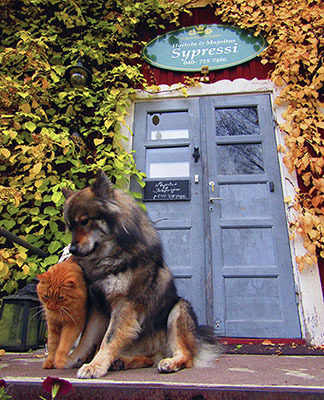 Three cats and one dog are also living in Raasepori-house. Our house is non-smoking environment but pets are welcome. Raasepori is old log house built 1840 into middle of traditional Mathilda ironworks village. Building is nowadays protected historical building. 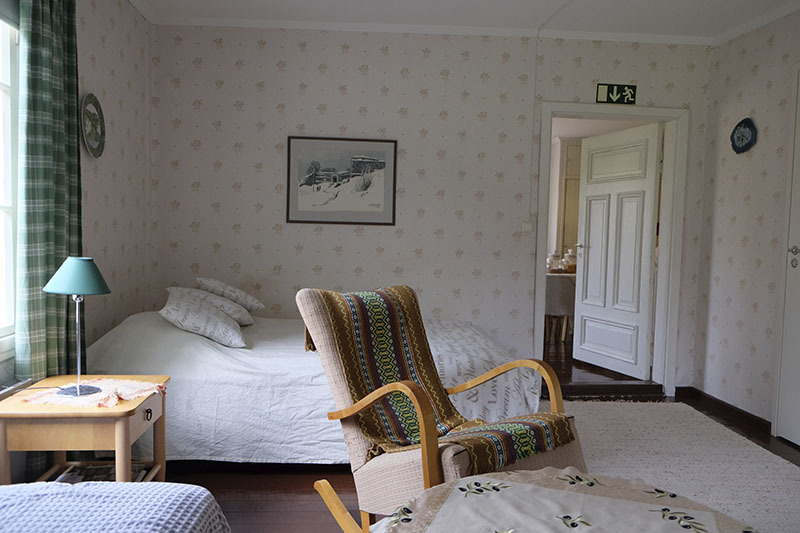 The house was renovated during 2003 and the big hall of the house was replaced by sauna, kitchen and toilet. The big hall on second floor still works as nice space for meetings, training or small celebrations. We can fit 10 persons nicely in that space. 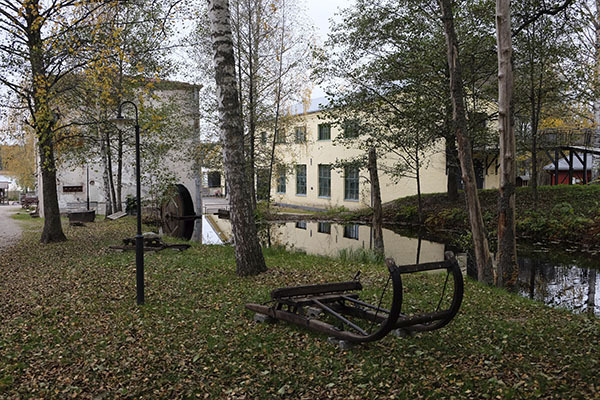 Teijo area ironworks villages – Mathilda, Teijo and Kirjakkala – offer multiple different experiences and services all year round and not only for one day but several. Teijo is a family destination with something to offer for everyone. Activities in lovely nature and craftsmanship are typical for these villages. The area offers excellent possibilities of many kinds of sports and activities in nature: hiking, fishing, riding, golf, tennis, downhill skiing, cross-country skiing, canoeing, rowing or even mountain cross car or downhill biking. 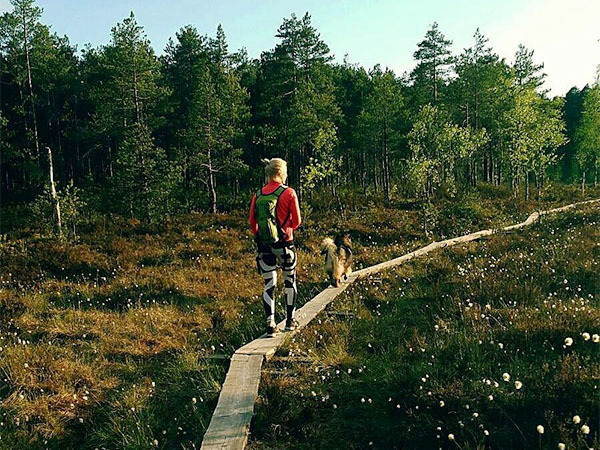 More information about activities you can find for example from Teijo national park or Meri-Teijo tourist information pages. Check also Salo tourist pages including Teijo area ironworks villages. Teijo national park offers unique surroundings and great opportunities to see Finnish nature through all year through. Nature park is located just next to ironworks villages with versatile sea, lake and swamp landscapes. The Nature Centre in the heart of the national park and just next to Sypressi provides information on the area and advice and tips on planning your trip.